By Chad Orzel, Associate Professor of Physics at Union College. And yet, an elite professional athlete like Richard Sherman is, in fact, extremely adept at doing science. Not the white-lab-coat, equations-on-a-blackboard sort of science, but the far older and universal process of observing, making and testing models of the universe. Science is best understood not as a collection of esoteric knowledge, but a four-step process for figuring out how the universe operates. You look at the world around you, you think about why it might work the way it does, you test that theory with experiments and further observations, then you tell everyone the results. In that sense, there are few activities more ruthlessly scientific than a professional football game. A cornerback like Sherman is given the assignment of preventing passes to a particular area of the field, but he has to decide the best approach to do that. He does this by making and updating a mental model of the other team — what formation they’re in, what they’ve done in the past — and using it to decide what he should do — which of two players to follow closely, whether to get in position for a tackle or try to intercept a pass. This model is immediately put to the test on the field, and everybody watching sees the results. Then the players line back up and do it again. This essentially scientific process of making and testing mental models is repeated by every player on the field every play of the game — Tom Brady and the Patriots' receiving corps will be trying to figure out what Sherman is going to do, and act accordingly. 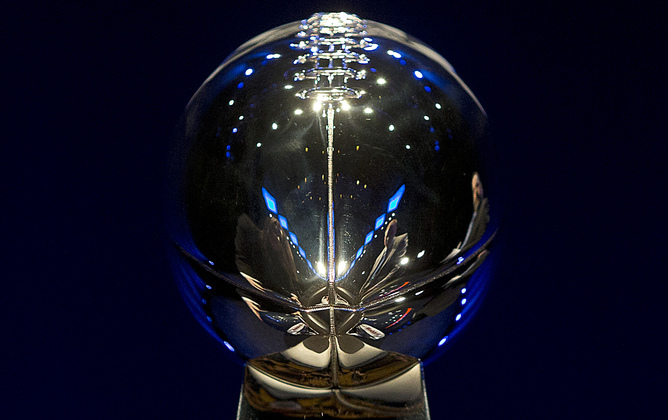 This Sunday’s Super Bowl is one of the largest scientific endeavors you’ll ever see on live television. 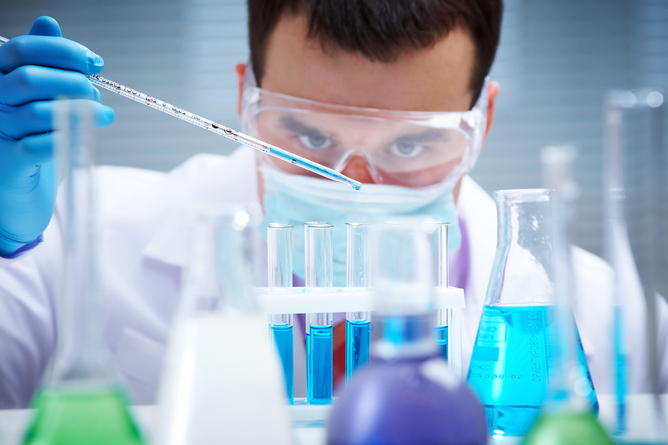 If this is your only image of a scientist, it’s time to update your mental models. Shutterstock. We tend not to think of sporting events as scientific for a whole host of reasons, from the speed of the game, which doesn’t seem to allow time for conscious thought, to politics of race and class. As Patricia Fara notes in her Science: A Four Thousand Year History, the arbitrary division between abstract science and practical technology dates back to the time of Archimedes, and even earlier. But a closer examination shows that even something like football, while commonly perceived as brutishly physical, involves an enormous mental component that parallels the process of scientific discovery. While the look-think-test-tell process is followed in every area of science, the frequent repetition of a football game — a typical NFL game runs to better than 120 plays — finds a great analogue in the science of timekeeping. Measuring time, like playing football, involves constant testing and updating, comparing a model clock to an external standard over and over, and adjusting to keep them synchronized. The end result can be fantastically precise. The modern standard of time is based on quantum physics — the second is defined as 9,192,631,770 oscillations of a particular frequency of light absorbed by cesium atoms. 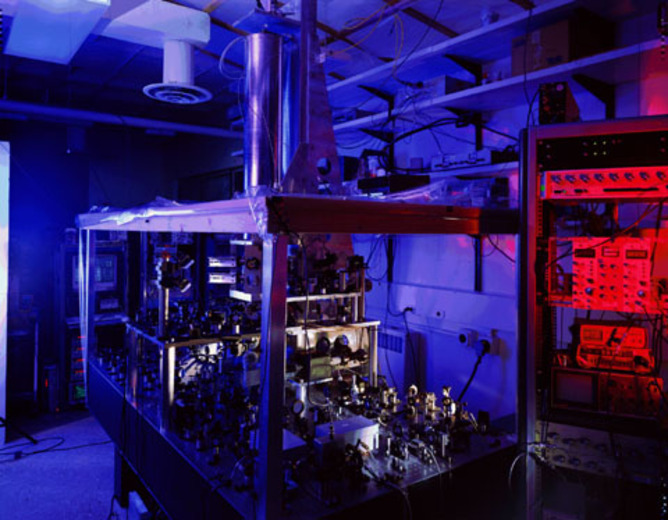 State-of-the-art atomic clocks start with cesium atoms cooled to a few millionths of a degree above absolute zero, and toss them upward through a microwave cavity. In the cavity, they are illuminated by light from the microwave source that serves as the clock synchronizing their internal state with the lab clock. They fly up above the cavity for a time, then fall back through, interacting with the light a second time. If the frequency of the lab clock matches the atoms’ natural frequency perfectly, all of the atoms will be in a different state when they return to where they began. If the frequency is slightly off, some of the atoms will remain in their original state, and the operators know to adjust the clock frequency. This process of testing and refinement is repeated about once a second during clock operation, and produces a time signal that would need hundreds of millions of years to gain or lose a single second. That kind of precision is a little excessive for a football game (though some Super Bowls do last a long time), but atomic clocks are essential for the Global Positioning System (GPS), a network of 32 atomic clocks in satellites. Each satellite broadcasts the time, and the delay between signals from different satellites allows the GPS receiver in your car or phone to determine your distance from the satellites. This determines your location on the surface of the Earth to within a couple of meters, about the length of an average NFL play. Continued improvements in timekeeping technology could improve that resolution, maybe even to a level that could eliminate those annoying arguments about whether the football really crossed the goal line or not. The exceptional precision of atomic clocks has transformed everyday navigation through GPS. And it works using the same rapid test-and-refinement process that Sunday’s players will, as they constantly assess what’s going on around them on the field and adjust their actions accordingly. So if you watch the Super Bowl this weekend, appreciate it as not just a display of amazing physical skill, but of science. Richard Sherman, Tom Brady and all the other players succeed not just through their athletic gifts, but by making and testing mental models of their opponents. In the end, the game will go not just to the strongest and the swiftest, but to the very best scientists. Chad Orzel does not work for, consult to, own shares in or receive funding from any company or organisation that would benefit from this article, and has no relevant affiliations. This article was originally published on The Conversation. Read the original article.